Well almost the weekend, i have some Major bike stuff to complete but wanted to at least say hello today, time seems to fly past when you get busy in life etc,try and get out on your motorcycle, I shall be supporting my Girl in a ride this weekend. Have a fun day and if you can get a chance, get out and take some nice smooth roads that are relatively quiet and get into them curves, you dont have to be fast to have fun, I love long winding bends that you roll in and throttle out of, so much fun. I think I shall book a weekend away in Big bear with my girlfriend soon so we can ride up there although, we have Bonneville Speed week coming up fast. 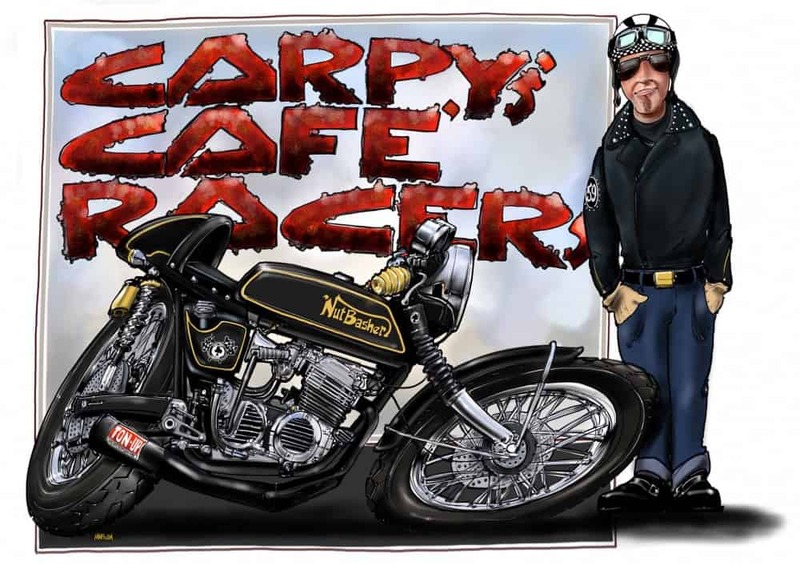 This entry was posted in Uncategorized and tagged ace cafe, brat, cafe racer, cb750k, Honda, inline four, north circular, ride for fun, t100, thruxton, ton up, triumph, twinline.